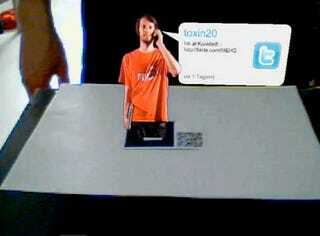 Jonas Jäger has taken this whole augmented reality thing from oh-cute! status to holy-frack-that's-cool position. His business card will make the owner appear like a 3D hologram, displaying Twitter information in real time, plus all kinds of cool stuff.